Exeter Public Library Summer Reading Program participants enjoyed an end of the program party with lots of water balloon games, water fun and prizes. Librarian Nina Bartu coordinated the event for the thirteen kids. They each had their name put in the prize drawing bucket once for each book they read during the program. 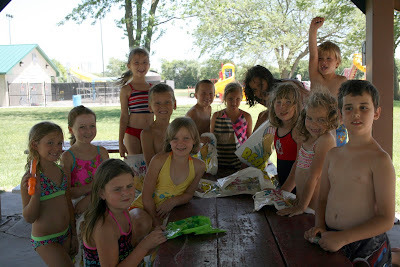 Everyone got lots of fun water prizes and enjoyed the event.